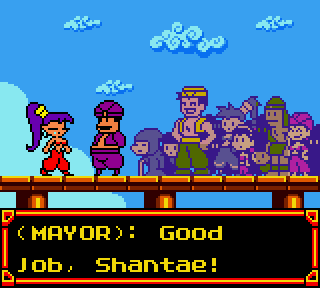 Genie-girl Shantae is the self-appointed guardian of a small fishing village called Scuttle Town. 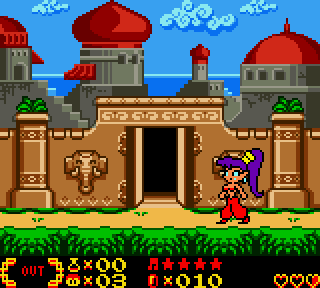 Living life in a lighthouse rather than a bottle, she’s constantly on the lookout for danger. 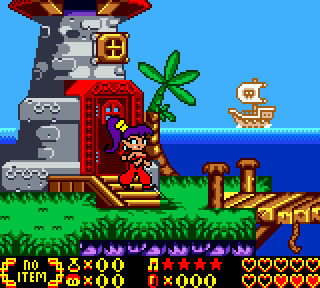 When the nefarious lady-pirate Risky Boots catches wind of the treasure recently unearthed in the village, she launches an attack. 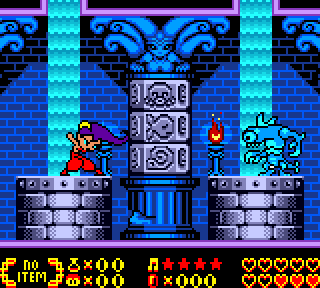 To get Scuttle out of trouble, it’s up to Shantae to prove that she’s the rightful ‘Guardian Genie’ to the best of her dancing, buying and hair-whipping abilities. Now crack that whip!